VANCOUVER, July 13, 2017 – According to the Royal LePage House Price Survey1 and Market Survey Forecast released today, the aggregate price of a home in Greater Vancouver rose 2.6 per cent year-over-year to an aggregate 2 price of $1,181,309 – a marked slowdown from the double-digit year-over-year home price increases that characterized the region in 2016. When broken out by housing type, the median price of a bungalow in Greater Vancouver increased 5.3 per cent to $1,379,731, while a two-storey home in the region slipped 0.5 per cent year-over-year to $1,480,706. During the same period, the median price of a condominium within the region saw double-digit growth, rising 12.4 per cent to $578,213. "While many onlookers expected outright year-over-year home price declines in light of the hasty implementation of governmental policy aimed at cooling the market last year, overall appreciation in the region has remained decidedly intact," said Randy Ryalls, general manager, Royal LePage Sterling Realty. "The market is back to facing a supply and demand gap, with buyers returning while inventory has tapered off, as sellers hold onto their properties until they've found an adequate alternative. In the end, Greater Vancouver is still very much a seller's market, led by the significant demand within the condominium segment, which is historically unusual given that the property type tends to trail detached dwellings." Despite governmental attempts at cooling the Greater Vancouver market in the latter half of 2016, British Columbia's economy has continued its strong performance, showing that policy efforts to slow the market down had little impact on the broader economy. Looking ahead, while several economic and policy factors have the potential to impact the housing market – such as the pending softwood lumber dispute with the U.S., recent B.C. election and talk of further intervention to address housing affordability – consumer confidence is likely to remain high. "The Greater Vancouver real estate market defied all odds and expectations in 2017," continued Ryalls. "There were a number of factors that we expected to influence our market that have had little impact. While we anticipated that many prospective homeowners would take to the sidelines in the lead up to the recent B.C. election, market activity is still amongst the highest we have witnessed in quite some time." "The only major factor we have seen impact the market was the introduction of new mortgage rules, which ultimately took between 20 to 30 per cent of buyers out of the marketplace," said Ryalls. "If we connect the dots, we'd realize that sales activity and pricing within the condominium market would have been much higher if the rules weren't changed." "Overall, it's tough for first-time buyers to enter the Greater Vancouver real estate market," Ryalls explained. "A lot of prospective purchasers are being priced out of the market through highly-competitive, multiple-offer scenarios, particularly within the well-priced condominium segment that first-time homeowners typically favour." Looking ahead to the end of the year, Royal LePage forecasts that the aggregate price of a home in Greater Vancouver will remain relatively flat, rising by 0.5 per cent year-over-year to $1,208,780, when compared to year-end, 2016. "We anticipate that Greater Vancouver will see home prices continue to increase for the remainder of the year as more buyers re-enter the market, with inventory shortages continuing to put upward pressure on prices," concluded Ryalls. In the second quarter of 2017, the aggregate price of a home in the City of Vancouver remained relatively flat, rising 0.1 per cent year-over-year to $1,385,431. While all property types saw prices increase on a quarter-over-quarter basis, rates of appreciation differed across housing types when compared to the same time last year. Sales activity and prices slowed in the twostorey market, declining 4.0 per cent to $2,220,022 in the second quarter, while the condominium market saw a notable double-digit increase of 11.1 per cent to $697,117. The only region across Greater Vancouver to see prices decline on both a quarterly and annual basis was West Vancouver, the metropolitan area's most expensive market. In the second quarter of 2017, the region saw its aggregate home price drop 4.7 per cent year-over-year to $3,009,126, while the median price of a two-storey and condominium declined by 7.5 per cent and 8.5 per cent year-over-year, respectively. Meanwhile, the median price of a bungalow showed positive gains during the quarter, rising by 4.6 per cent this year over last on the back of constrained inventory levels. When compared to other regions across Greater Vancouver, home prices in North Vancouver fared quite well in the second quarter of 2017, rising 7.5 per cent year-over-year to $1,369,091. Due to its close proximity to the downtown core and affordability relative to other regions in Greater Vancouver, buyers continued to flock into North Vancouver's condominium market, pushing prices up by an astounding 24.3 per cent year-over-year. Aggregate home prices in Richmond, slowed in the second quarter of 2017, rising moderately by 2.5 per cent year-over-year to $1,057,629. Constrained inventory and a high level of demand continued to drive bungalow and condominium prices higher in the second quarter, with their median price rising by 11.3 per cent and 8.0 per cent, respectively. Prices have recovered in Burnaby after witnessing quarterly declines in the first three months of the year, rising 6.0 per cent in the second quarter of 2017 to $1,030,306. The region's affordability and proximity to Vancouver continued to attract buyers from across the Lower Mainland into its condominium segment, which has resumed significant year-over-year price appreciation following a period of flatness, with prices now projected to surpass levels achieved in 2016. When compared to the same period last year, prices in the condominium segment saw a significant 20.5 per cent increase year-over-year to $523,882. Sales activity and pricing remained strong in Coquitlam in the second quarter of 2017, with the aggregate home price climbing 4.1 per cent to $949,576. Recently, sales activity and consumer confidence within the region have fully recovered following the implementation of new taxes last year, with many buyers currently seeking to enter back into the market. Prospective homeowners in the region are particularly interested in scooping up condominiums – the last frontier of affordable housing in the market – resulting in prices across the housing segment rising by 22.0 per cent to $435,262 when compared to the same time last year. Properties in Surrey continued to appreciate in the second quarter, rising 7.4 per cent year-overyear to an aggregate price of $759,837. A significant shortage of supply and an increase in sales activity across lower-end market segments have contributed to prices growing in all property types studied within the region. In the second quarter of 2017, the median price of a two-storey home, bungalow and condominium increased by 6.8 per cent, 9.5 per cent and 11.0 per cent, respectively. Langley saw the highest year-over-year appreciation in Greater Vancouver during the second quarter of 2017, with the aggregate home price rising 12.3 per cent to $791,721. Low inventory levels, coupled with increased migration into the area, has placed significant upward pressure on prices within the region – particularly in the condominium segment where buyers are taking advantage of Langley's relative affordability. Nationally, Canada's residential real estate market posted strong home price gains in the second quarter of 2017, with the majority of metropolitan markets across Canada displaying expansionary trends. 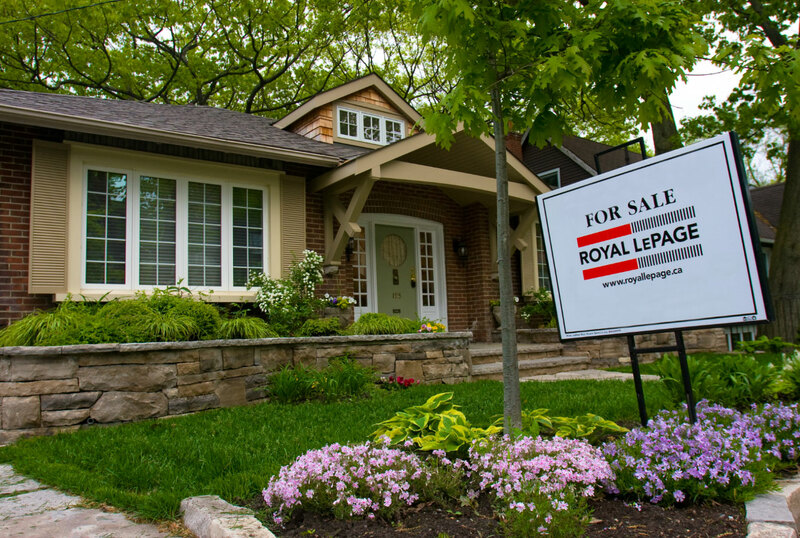 During the quarter, the Royal LePage National House Price Composite showed that the priceof a home in Canada increased 13.8 per cent year-over-year to $609,144. When broken out by housing type, the price of a two-storey home rose 14.6 per cent year-over-year to $725,391, while the price of a bungalow increased by 10.7 per cent to $511,965. Over the same period, the price of a condominium climbed 13.4 per cent to $397,826. "Following a period of unprecedented regional disparity in activity and price appreciation, we are now seeing a return to healthy growth in the majority of Canadian housing markets," said Phil Soper, president and CEO, Royal LePage. "The white-hot markets are moderating to very warm; the depressed markets are beginning to grow again. Canadian housing is in great shape – a statement that I certainly did not make last quarter." "The rate of national house price appreciation that we experienced in the second quarter continues to be above what we would consider a normal range, dr iven primarily by very strong year-over-year price growth across much of Ontario," continued Soper. Looking ahead to the remainder of the year, Royal LePage forecasts that the national aggregate price of a home will increase by 9.5 per cent in 2017 to $617,773 when compared to year-end, 2016.